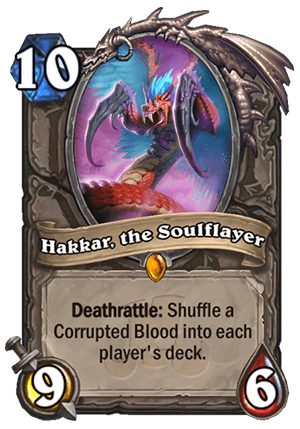 Hakkar, the Soulflayer is a 10 Mana Cost Legendary Neutral Minion card from the Rastakhan's Rumble set! Rating: 2.8/5. From 562 votes. Casts When Drawn Take 3 damage. After you draw, shuffle two copies of this into your deck. This is a very weird card, which is really difficult to rate. On the one hand, I can see how combo decks built around it can have some potential. If you can play it, kill it off and then either force your opponent to draw more cards, or shuffle more cards into your own deck, or get rid of the Corrupted Blood in your own deck (e.g. 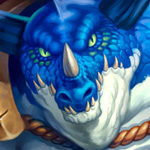 with Hemet, Jungle Hunter). Then the longer the game goes, the more damage your opponent takes when compared to you. To be completely honest, I think that this card is more meme-tier than Mecha'thun is, and Mecha’thun is already a questionable combo deck (Mecha’thun Priest & Warlock are playable, but not very competitive). However, at least when you set it up, it kills your opponent right away. You win the game. 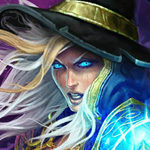 Same goes for let’s say Malygos combos – when you drop your entire combo, your opponent is dead. It’s not the case here. In the current state, I feel like the card can serve only as a counter for those slow combo decks that want to shuffle through the most of their deck or even an entire deck. For example, this is a hard counter to Mecha’thun decks – assuming you get it down first and kill it off before it gets Silenced. Since you shuffle cards into their deck and those cards shuffle even more, the Mecha’thun’s condition will never trigger. Unless I’m missing something very important, this card is very cool, but I just can’t see it working consistently in an actual deck. It’s harder to pull off, slower and easier to counter than your average combo – so why in the world would you play it over other combos? 1 The player draws a copy of Corrupted Blood. 2 Their hero takes 3 damage. 3 They draw another card (or take Fatigue damage if their deck is empty). 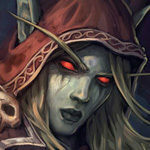 4 Two new copies of Corrupted Blood are shuffled into their deck. Draw, Take 3 Damage. Draw, Take 3 Damage. Draw take 3 Damage. Draw, take 3 Damage. Draw, Take 3 Fatigue. Shuffle 6. = 15pts. Why does this have such a high rating? Its complete trash. But what happens if my hero is immune and I have only corrupted blood in my deck? It’s a bad bug. So this card will early need a fix/nerf . That’s a good idea. Except it would require you to wait out one more turn and keep Dreampettle out another turn two get two of the cheap enough to play them all. Might be better to just drop soulthief entirely. Drop Hakkar, naturalize, togwaggle, end turn. What happens if u draw a corrupted blood with myra’s unstable crystal? Do you keep drawing corrupter blood or do they get discarded? You know I’ve got to make a deck around this. Just seems fun. Hell might not be good but for casual Wild Priest with revival effects seems hilarious to pump as many of Corrupted Blood as you can into each deck. Also with Quest as a back up mass heal in case stuff begins to go south. Might not be the best card but its a fun idea that I know myself and others will attempt to abuse. Yes! They finally made this card, in a good way. The corrupted blood is based on a debuff that was a thing in WOW, and the raid boss is Hakkar. There was a bug with this debuff and people in cities are ‘infected’ and started to die, and it started to be just like an actual plague irl. I’m glad that they added this. I really think the design of this crap, i mean card, is very bad. 10 mana no immdiate board swing. Understated. Its a deathrattle whitch means that when your oponent kills it you get the chance to draw one of these things. Such un amazing mechanic and unique effect that n itself is useless since all your oponent has to do especially if he is lock is to get max hand and just mill these. The same goes for your oponent. A unique card effect that is so bad that the minion it comes with costs 1600 dust is unique and has measly 6 hp and not even a taunt. That gets canceled by just not playing cards for few turns. This feels like either a Mill Deck specialty or a counter to card draw decks such as Tempo Mage, Miracle Rogue and Warlock. Geist and Hemet counter, but then again they actually have to play those before their deck is empty and those cards will significantly diminish most classes with powerful one-drops such as Druid. ALSO to run Geist or Hemet you couldn’t play an Odd deck (so Odd Rogue, Paladin, and Warrior don’t have a defense against it). I think the card has more potential than people think. I think this card is not bad. In mill druid, when our deck is empty, we can play this card + Innervate + Naturalize. Next turn, we draw and take 3+1 dame, shuffle 2 Corrupted Blood into deck, then play King Togwaggle and win because 2 Corrupted Blood will be infinite loop (?). The problem is the turn before we win, we really do nothing. Skulking geist is also a problem. In conclusion, I think this card is good tech card ịn mill druid. Depend on what we dealing with, we can choose Azalina combo or this card combo. Is shuffling this into an empty deck better than mill damage? The way I read this – yes, it’s better. As I read this, it’s an OTK if shuffled into an empty deck. Opponent draws this, then shuffles two into the deck, then draws another, then shuffles two more and so on until he or she dies. Clearly this is never going to be a meta breaking card. I’m fairly certain this was designed to be a tech card against mechathun decks and decks with “infinite” deck size ie: dead man’s hand warrior, etc. It kills the Mechathun combo instantly. It also makes it so games that would otherwise go to the turn limit actually might end in something other than a tie. By no means a good card but it has it’s use cases. If you’re playing this as your win condition, you’re going to be in trouble because of geist. 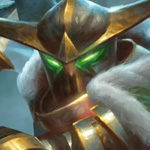 Play this, kill it, then play Hemet, Jungle Hunter. Now the opponent will die at some point. Yeah, that’s the terrible combo I came up with. Oh, and this gets totally countered by Geist, a card that most Control decks run. Yeah, looks bad, if it became a win condition of sorts, the opponent can also save a silence or transform effect to hit this before it gets rolling (costs 10 mana, so can’t kill it the same turn you play it, except with Innervate + Naturalize in Druid). I can maybe better your idea. I had an idea with Warrior. This card, Boomship, Hemet and Dead Man’s Hand. It isn’t hard countered by Geist, can be played with Rush, can be killed right away if your opponent has a minion with 6 attack or more and isn’t losing you tempo. Dead Man’s Hand makes it so you can put Hemet into your deck again if you have drawn him before Boomship, or maybe you can put another copy of this card into your deck if you have a feeling he might be running Geist. I have no idea whether or not this might be a good idea or not, but it’s worth a try. I had the same idea, and I think that in a control matchup or againts aggro (because warrior is strong againts aggro) this sort of a deck could be good. Then there is combo decks, that some can be countered with enough of armor gain, that might even get upgraded with this expansion. 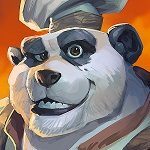 The only decks that im worried about is the togwaggle druid, that I personally think will stay strongly in the future meta. 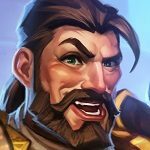 If they would give us some neutral combo counter (and not giving all of them to Warlock), any Warrior would have a strong input on the meta! I could also see it in Deathrattle Rogue to combo with Kobold Illusionist into Necrium Vial/Blade for some cheesing. Where on the card does it state that? 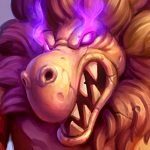 Hakkar will end control match-ups faster, even if that added speed will be partially determined by luck. Granted, this could be an additional win condition in mill decks, but this seems far too slow for that sort of strategy and it could end up killing the mill player. It’s stat line also isn’t inspiring. I would neither call this outright bad nor the joke legendary of the set though. Perhaps it will just end up being below average. I’m usually very, very hesitant to say slow cards with crazy effects like this are bad, we’ve seen those “obvious joke cards” end up played way too often…but this really doesn’t seem good. MAYBE some kind of Priest with Augmented Ele-yeah nevermind that seems really bad. Toggwaggle Druid can play this and Innervate into Naturali-yeah nevermind if you played Toggwaggle you already won. 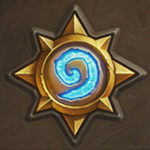 I think this is going to lead to some hilarious decks and cool highlights, and that’s about it. Why are people wondering how this card works when there’s literally a video showing just how it works?! You draw the card, take 3 damage, draw another card and then shuffle 2 of these in your deck. Possibility 1) you draw the first one, 3dmg, draw another corrupted blood, 3 dmg, draw another card, then shuffle the first two bloods, then the second two bloods. Possibility 2) You draw the first one, 3dmg, draw another blood, shuffle 2 bloods in deck, 3dmg, draw another card, shuffle another 2 bloods in deck. If it’s “2”, then you die the second turn you get to almost fatigue (with one blood on the deck) because you will keep drawing and shuffling bloods until you die. If its “1” you just get more and more dmg each turn. Cast, draw, deal 3 damage to your hero, shuffle 2 into your deck. This doesn’t go infinite like that, don’t worry. 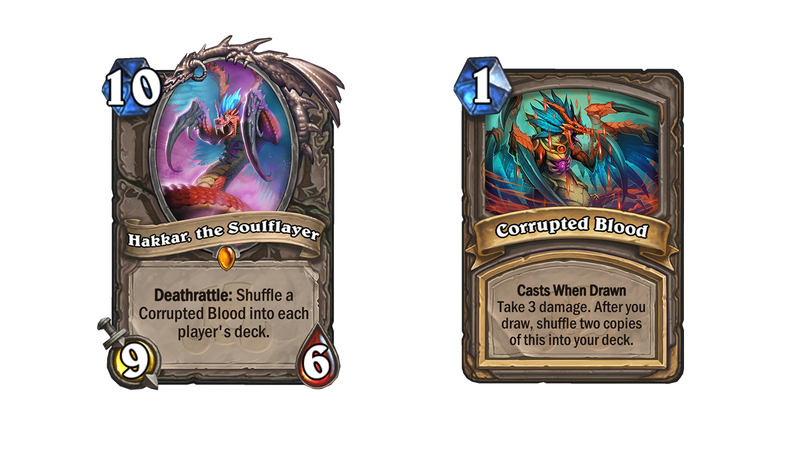 If your deck is just these, it’ll go until you haven’t got any and then fatigue you before shuffling 2 times the number of corrupted blood twice. 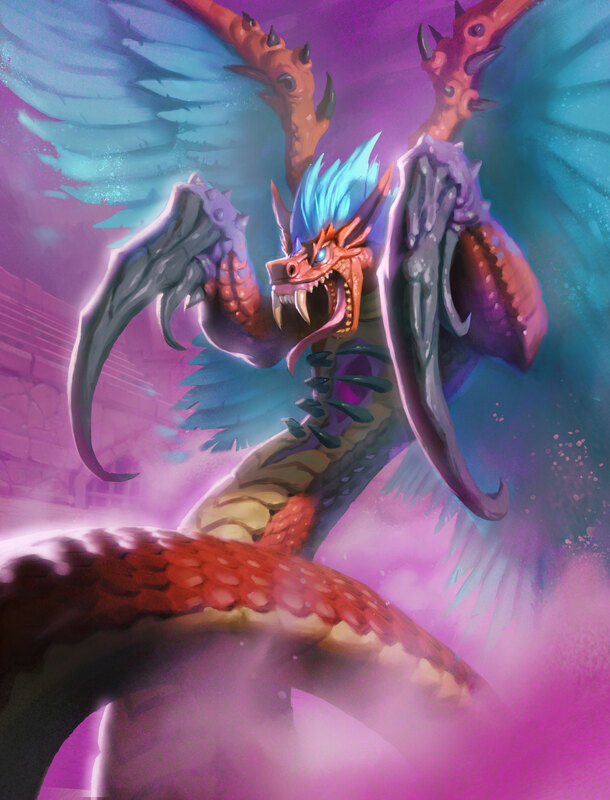 Like maly rogue but replace or add hakkar to deck…. Anybody thinking of kobold illusionist or seeping oozling then a ton of activation cards for active deathrattle…. I kind of like this card, it transform fatigue into a nightmare. Let’s say you are lucky enough to receive the corrupted blood as the last card in your deck (if you draw it sooner everything is worst). So you draw it, receive 3 dmg, recieve 1fatigue dmg and put two in the deck. Next turn, you draw it again, receive 3 dmg, draw it again, other 3dmg, then 2fatigue dmg, then put 4 on your deck. so is basically 3+1 then 6+2 then 12+3 then 24+4 etc… Very deadly, Even if you somehow have a lot of armor, it still will kill you quite fast. im asuming that the “draw” part of all blood card happens before putting the 2 copies of each card in the deck, if not, then is infinite dmg as soon as you get two of these as the last two cards in your deck. I think is the first case, but i’m not 100% sure. 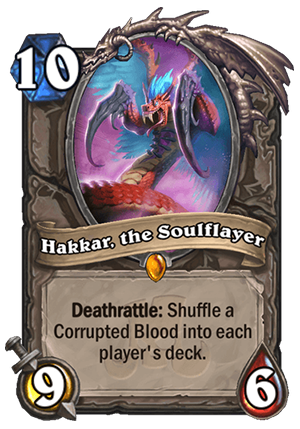 The good part, is that since Hakkar is a 10 mana minion with a Deathrattle, its hard to activate in the same turn it is played.. at least, you get a change to silence/polymorph it. 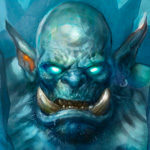 If not, Only Geist or Hemet (both rotate on April) or shuffling a lot of other cards into your deck can save you.. Anyway, i think for it to work, special decks will have to be made around it, i doubt it will be a common sight on the ladder. This just destroys mechathun decks if they dont have hemeth or if you play this after their hemeth. Might see play in a DMH Warrior deck, tank up with Justicar Trueheart to outlive your opponent while he’s in fatigue constant drawing this card. I like this card because it is one of those neutral cards with some almost uncounterable win conditions, but far better than Mechathun. I always disliked Mechathun because with Hemet it doesn’t let you have time to counter it. Sometimes I feel like there are too many good tools with Mechathun and not enough ways to counter it (btw zero ways to counter it right now), and Hakkar is both an emprovement on this combo archetype and a way to counter Mechathun. I love it. Dirty Rat, Deathlord, Demonic Project? Even a well timed Potion of Polymorph. 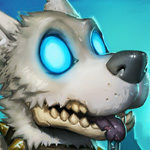 Skuliking geist, Death grip from lich king cards. Sorry, I didn’t remember demonic project when I made the review. I am a Paladin main, so was talking from my perspective, and only warlock has a tech counter to mechathun in standard. Of course I am not saying that Hakkar will become a tech choice just against mechathun, but I just found amusing that it totally counters it. So… What happens if someone is on fatigue? he recieves 3 damage, shuffles, and draws… and recieves damage, and shuffles, and draws? the text says it draws BEFORE it shuffles. So you take damage from the corrupted blood, then you take fatigue damage and THEN you shuffle. I believe this card doesnt force you to draw another one after itself. So you draw it, you shufffle 2 more copies into your deck and that’s all. No fatigue as well. You’ve never seen a “cast when drawn” card then, I assume. They all make you draw another one after triggering their effects (wonder scroll, bomb cards…), there’s no reason this one will be different. No, the play when drawn key word always means you draw a card, once you have just two in your deck you will kill your self, so on turn two with an empty deck you insta lose since you draw the second one but put two more in to the deck, unless it triggers all the draws first then places the cards in the deck, which doesn’t make any sense. The “cast when drawn” cards aren’t really drawn though, since they immediately cast. If you have two in your deck (and nothing else), considering it shuffles only after actually drawing, I assume you’ll draw both (and take 6 damage on the way), then fatigue once, then suffle 4 of them into your deck (2 for each). Fatigue would then be much, much quicker. @Nazemec but that would have cards playing inside of cards inside of cards, if you get ultimate infestation from scroll of wonders it will deal five, give five armor, and summon the 5/5 before any other scrolls will trigger, even though normally you draw the cards before the 5/5 is summoned, so the first card, in this case UI, completely finishes before any other play on draw cards are triggered, also, if you draw a scroll as your first card, and it is the recruit warrior card, it can’t recruit from any minions that will be drawn from UI, since, technically the UI has completely finished, it’s just animations at that point. This could actually see some use in some Explore Un’Goro + Togwaggle shenanigans with Geist. Play this first, then Togwaggle + Explore Un’Goro. So now your opponent has your deck full of draw and stall plus the Corruptef Blood, while you have the Explore deck. So unless your opponent has Hemet/Geist/Life gain, they’re on a massive timer. Which means they can’t wait so long to swap back. When they do, you Geist and lose the Corrupted Bloods while they lose the entire Explore deck. Outside of that, you’ve got some Hemet shenanigans with some forcing your opponent to draw with, say, Naturalize. Is it good? Probably not. Fun? Heck yeah. Yo, this idea seems legit af. Probably wont be a top tier deck but it seems so much fun, i would so craft this deck if i wasnt a f2p. This might be a problem once geist rotates… I like the concept though. 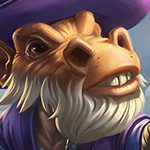 No more like it’s going to make milk Druid even stronger, you draw a ton of your deck then swap and now even if they have cards in their deck, the bloods will fill your deck up faster than their stolen one, so they die really fast. Plus on top of that with an empty deck it seems like you will draw all of them if it works the same way that spiders work, so with an empty deck and one of those as your only card you instantly die. If they have two it will, you draw the card, it draws another corrupted, then replaces two more in the deck then the drawn corrupted will draw another one and then replace two more cards, thus going infinite, unless of course they make an “exception” for this card in specific, you die with two in your deck since the cards can’t really keep stacking their draw effects on top of each other without placing any of the cards, the first has to finish before the second one can trigger. Interesting synergies with Hemet- opponent has no choice but to die out unless they are carrying Hemet/Geist. 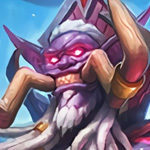 Shouldn’t be too large of a threat, however it could become somewhat of a pain in the overall meta if most decks do not carry an answer. How many times have people made a Hakkar on Hearthcards or Customhearthstone!? looks very expensive, and you can’t cheat it out with Oondasta since it’s not a beast. likely to just get polymorphed or hexed… Unless there’s more cards that synergize with this card. I guess Seeping Oozeling in hunter can steal its deathrattle, then play dead? But this is a symmetric effect, for what it does. It’s really very bad. 1.5/5. This does not say draw another card. Is this lost in translation or is it just a dead draw? All of the card effects like this were changed to cast when drawn, they still draw another card.